You probably heard the good news that we closed our $500K seed round in January. A significant portion of that money goes to user acquisition, as well as for the development of new features like a more detailed breakdown listing the companies that donate to specific politicians. The upgrades are easy to justify because, frankly, people are loving (and using) the app A LOT. In the last four months alone, our app users have viewed 2,523,254 brand pages! 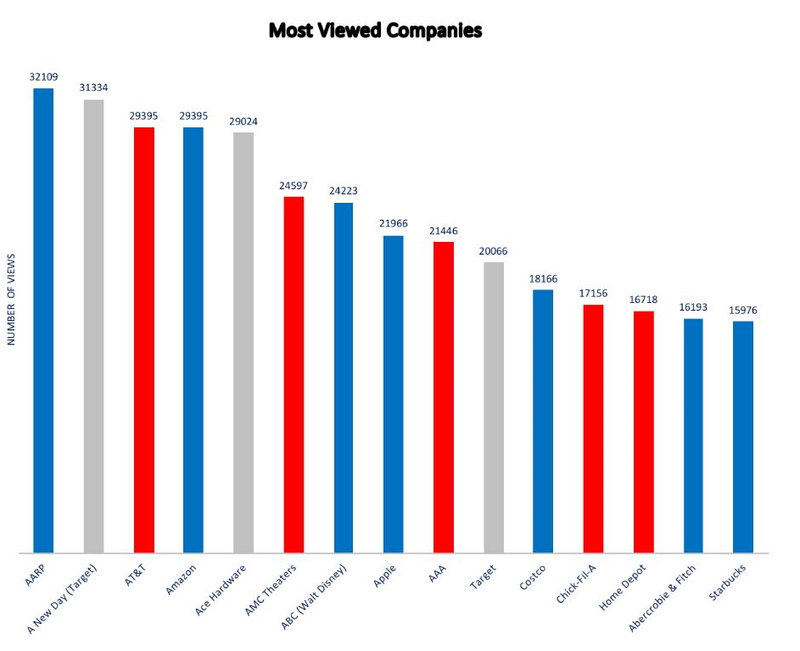 Here are the top 15 companies that consumers are wondering about, their political affiliation, and the number of views each has had over the last 4 months. To browse our database of over 4,000 brands and companies, download our free app, or just go to our website.